Bill White opened White's Country meats in 1984. Because of health reasons in 1996, he selected Russ and Robin Feigner to purchase and continue his legacy at White's Country Meats. Robin and Russ are now passing their knowledge of the meat industry on to their son Randy, and his wife Wendy, to continue Bill's legacy. Before Bill's passing, he passed all of his knowledge of sausage making and all his sausage recipes to Randy. Randy is now part of the Northwest Meat Processors Association. He has also won numerous awards for his sausage making abilities. Wendy works mostly in the office and helping with the daily operations of the meat market, while taking care of their young son, Robert (we like to refer to him as our CEO!). Randy, Wendy, Russ, and Robin continue our quest to give the best customer service and the best quality meat products we can make and find. We hope to continue Bill's legacy, by having White's Country Meats go on to a 3rd generation. We have the area's freshest and best quality selection of: Steaks, Ribs, Roasts, Hams, Chops, Sausages, Jerky, Pepperoni, Poultry, Fish and so much more. 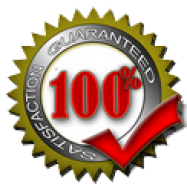 Come see our wide selection & unmatched guaranteed quality. Nine varieties of White’s Country Sausage, freshly smoked bacon, marinated pepper steaks, marinated kabobs, fresh fish and many house favorites and so much more! Right off of Hwy 26 on Kane Drive in Gresham. Click on the map above to get directions from your location. 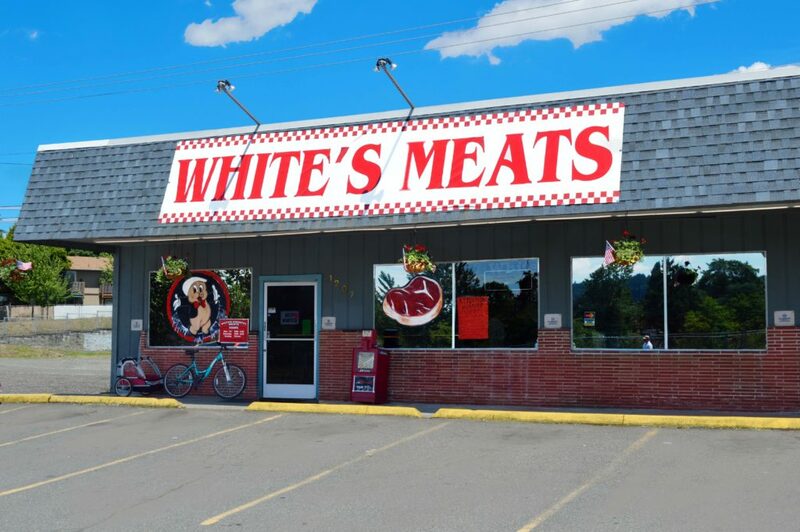 White’s Country Meats is locally owned and operated, and has served the Gresham area for over 25 years. With daily shipments of the best quality meats available from all over the country, we guarantee that you won’t find a better value for you and your family. Come in today, we have the areas freshest and best quality selection of: Steaks, Ribs, Roasts, Hams, Chops, Sausages, Jerky, Pepperoni, Poultry and so much more. Come visit our store and see our wide selection, low prices & unmatched quality. We have 9 varieties of White’s Country Sausage, freshly smoked bacon, marinated pepper steaks and many house favorites. We have two smokehouses that run 24 hours a day, 7 days per week.